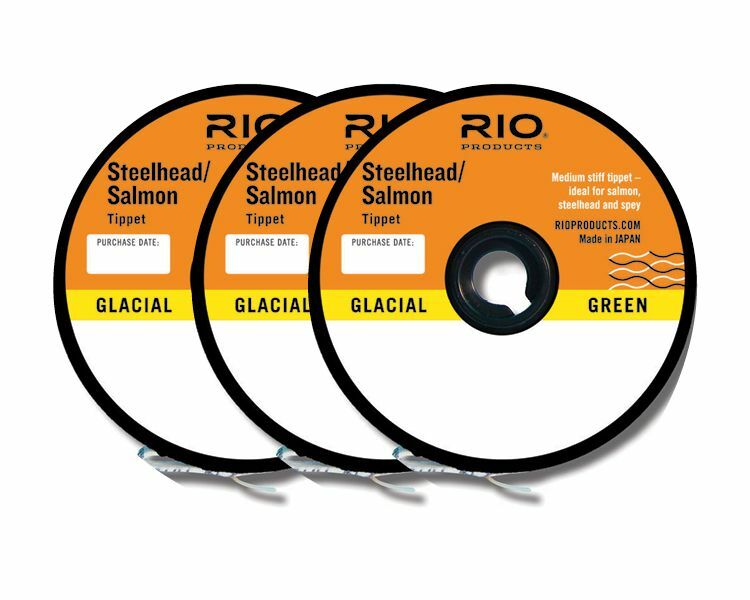 The RIO Steelhead/Salmon Tippet is a medium stiff, tough nylon tippet ideal for steelhead, salmon, and spey. Easy to knot, this tippet features excellent strength and abrasion resistance. Clear glacial green and nearly invisible to fish, this is the perfect option for larger flies. RIO Steelhead/Salmon Tippet is available as a standard 30 yard spool or in a useful, money-saving "triple pack" option. This consists of 3 standard 30 yard spools in a range of breaking strains/ diameters conveniently packaged in a handy plastic tub. Single 30 yard spools available from 10.0lb to 20lb b.s.